Here are a few simple tips to help keep your solar panels clean and working during Utah’s seasonal changes. The climate and weather in Utah brings an array of dirt, leaves, snow and dust that can obstruct solar panels from working at maximum efficiency. Using these simple tips will help keep clean solar panels producing energy and in good shape. 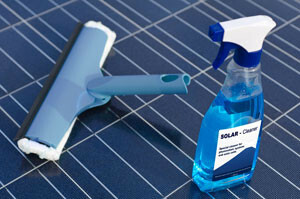 It is important to keep solar panels clean to ensure they keep producing as much power as possible. Dirty solar panels can reduce energy production by as much as 25%, this is why it is important to physically inspect solar panels on a regular basis. If the panels are covered with dirt use a solution of warm water and soap and a soft nonabrasive cloth to clean the surface. 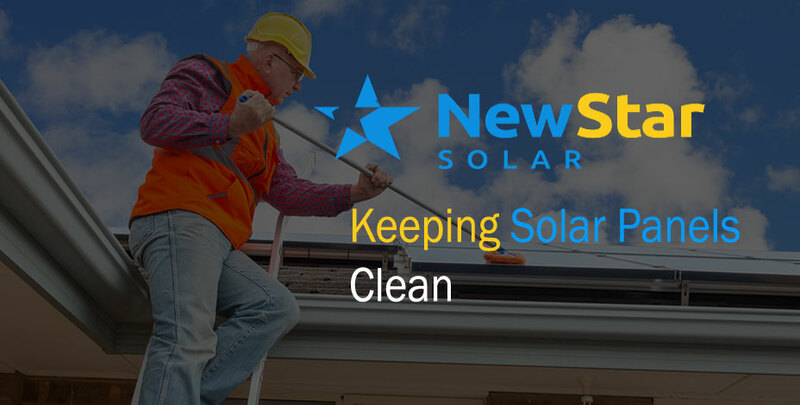 If possible it is safest to clean off solar panels from ground level, if it is necessary to climb to a rooftop to clear off debris use a steady ladder with another person supporting the ladder. It is also a good idea to use a safety harness when climbing onto a rooftop position. During the fall season when trees begin to lose all their leaves, it is generally a good idea to clean the leaves off solar panels at least once a week. Falling leaves can collect on the surface of solar panels and obstruct the panels from collecting energy. It is also important to note that leaves tend to biodegrade quickly under wet conditions, leaving a soggy messy on the surface of the solar panel surface. Clear off any noticeable debris and physically inspect the panels for any damage from falling tree branches or debris. Many solar panels come with built-in monitors that will notify owners of any reduction in efficiency. Owners can also pay for monitoring services to ensure solar panels are producing energy at a maximum level. Keeping solar panels clean and clear of snow is usually not an issue if the panels are titled. Generally, snow will melt quickly off the panels. If the solar panels are aligned flat generally the panels will melt the snow off however it may be necessary to clean the snow off the panels. Do not use a shovel to clear off the snow as doing so may cause damage to the solar panel surface. Gently scrape the snow off using your hands to clear the snow, clean solar panels are the key to energy efficiency. Using these simple tips will help ensure you have clean solar panels that are working at maximum efficiency.